Every Friday, we scan the weekly ads, deal sites and retailer marketing emails to find the best deals available for the coming week. Here are a few of the best freebies and limited-time offers we found. 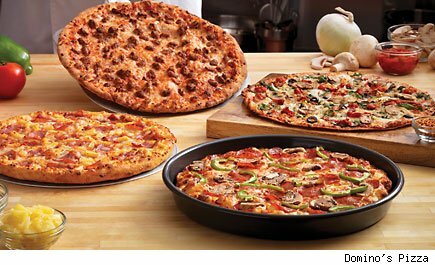 • Through Sunday, customers who order their Domino's pizza online can get 50% off the pizza portion of their order. To get the deal, just order via the Domino's site and punch in the coupon code 50OFF. Note that the code can only be used on regularly priced menu items, which means that you can't get an additional 50% off the "two medium two-topping pizzas for $5.99 each" deal that the chain advertises so prominently. The code should be valid through Sunday. • Gap (GPS) offers 30% off your entire purchase when you use the coupon code GAPWRAP. The deal is good through Sunday online and in stores, though there's a laundry list of exclusions -- it can't be used for cashmere items, nor for a variety of non-Gap brands, nor can it be used at outlet stores. See the site for full details. • Target's (TGT) email subscribers got this coupon that gives you a $10 Target gift card when you make an in-store purchase of $50 or more. The coupon is good through Saturday only. If you don't feel like going through the whole process of activating Target's special printer program, the folks at FatWallet are hosting an easily printable PDF of the coupon on their site. • Finally, Best Buy (BBY) is offering a deal on the Apple's (AAPL) iPhone 5: Buy any iPhone 5 from the retailer on AT&T, (T) Verizon (VZ) or T-Mobile (DT) and you'll get a $25 Best Buy gift card. If you buy online the gift card will be shipped to you; if you choose in-store pickup or just buy it in the store, you can get your gift card at the store. We're also seeing reports that Target and RadioShack (RSH) are offering all iPhone 5s for $20 off through Dec. 15; however, because those retailers don't sell the latest iPhone online, you'll have to check out your local store to get the scoop.